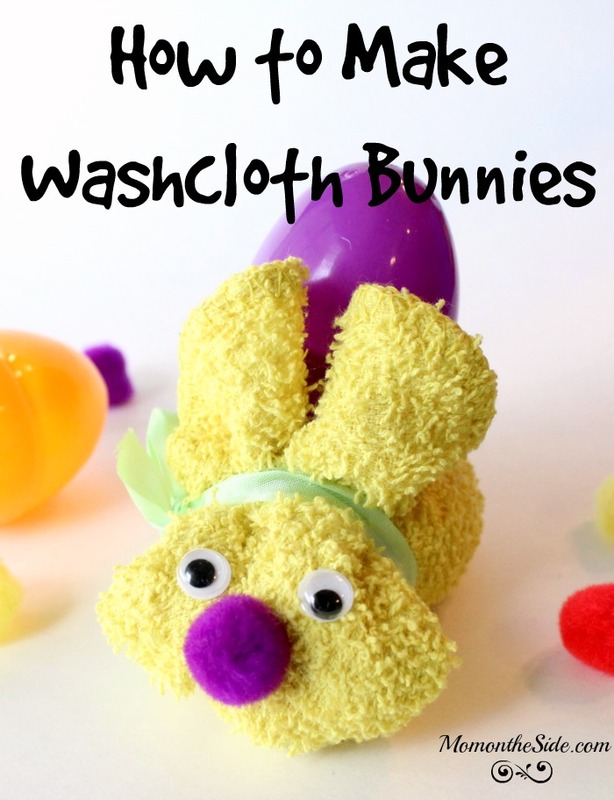 My grandma used to make washcloth bunnies when I was growing up. Adorable little things with an Easter egg tucked in. 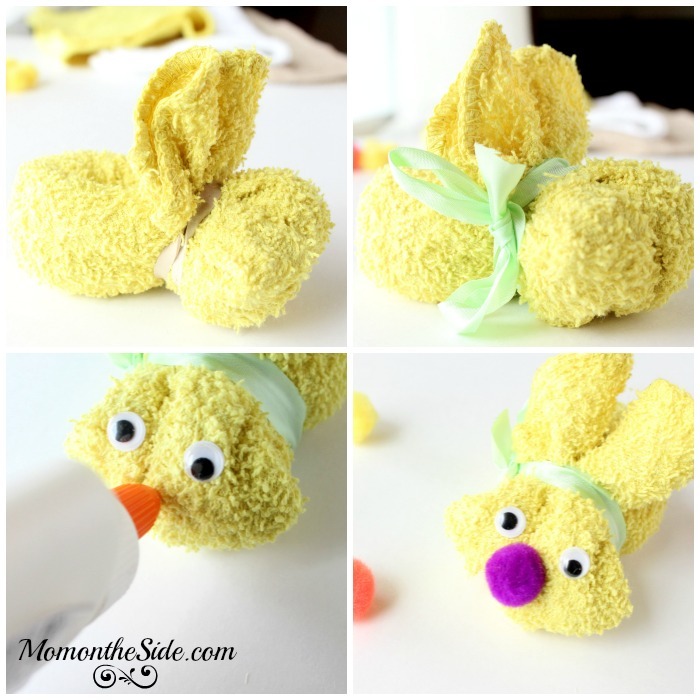 I don’t know why I’ve waited so long to make washcloth bunnies for my kiddos because they are super simple to make. 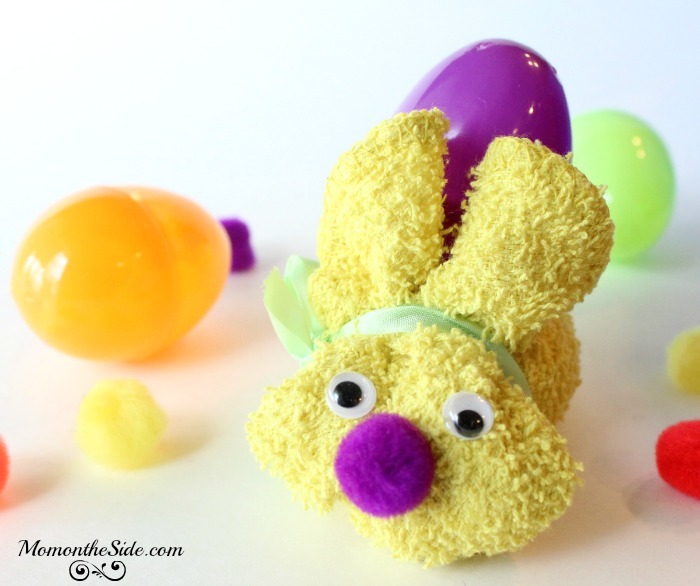 If you want an easy Easter craft to make with kids, I’m showing you how to make these today! 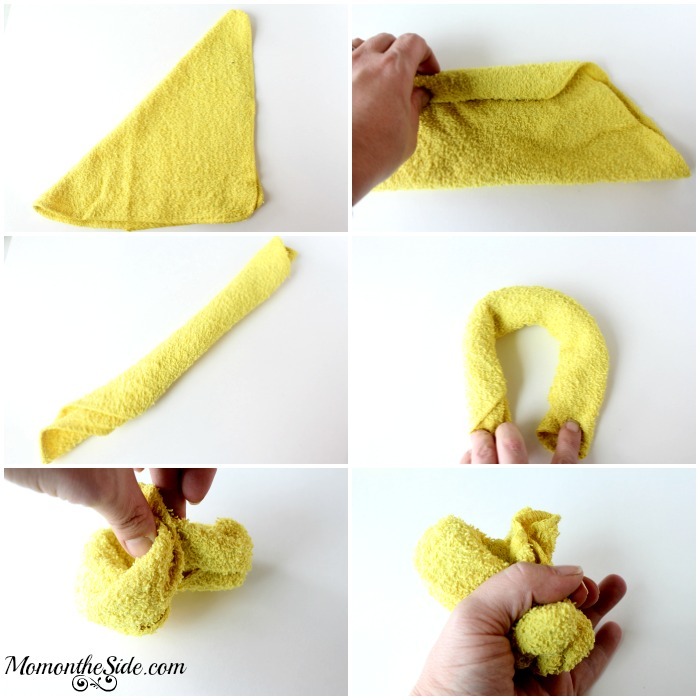 Step 1: Lay washcloth out flat in a square and fold it in half to form a triangle. Step 2: Starting at the point, begin rolling into a log shape. Step 4: Fold in half again, backwards, so the two ends are facing the fold. 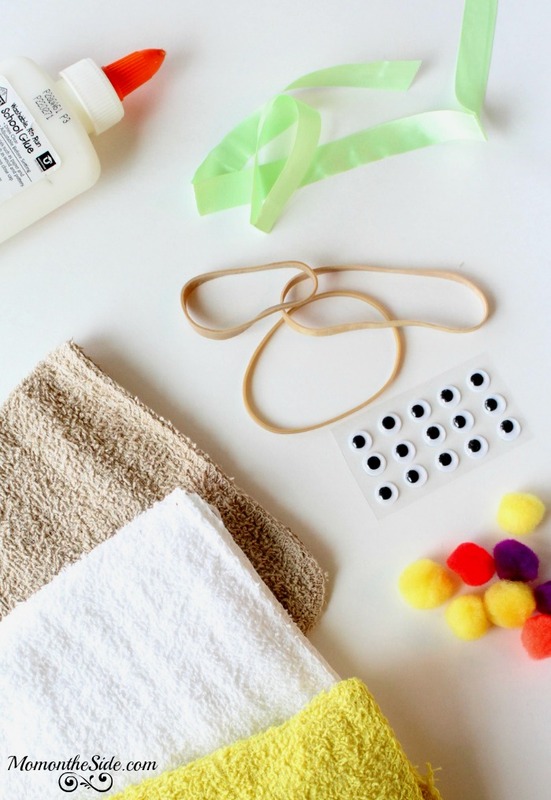 Once you have the washcloth into the shape of a bunny, it’s time to finish things up and decorate! Step 5: Place the rubber band around the neck area of the bunny, to hold the ears back. Step 6: Tie ribbon around the neck area to conceal the rubber band. Step 7: Stick google eyes on the head of the bunny. Step 9: Tuck an Easter Egg behind the ears, in the hold of the body. Very cute! I made these for the kids when they were little with white washcloths. I like the way it turned out with yellow. Oh my, these are so super cute! My daughter would love to make one! Adorable!! My mom used to make these when I was little! I love them! !